Eight clues lack a definition. Their solutions, which have something in common, need to be replaced with a different word according to a rule before entry into the grid. For these clues, lengths of both solution and replacement word are indicated. 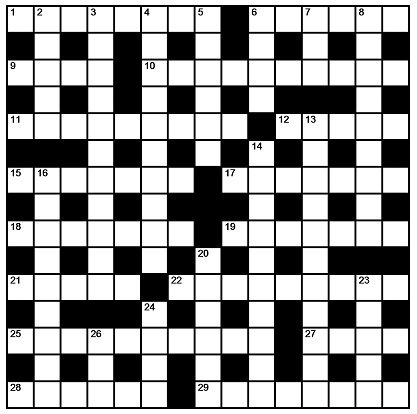 To enter this competition, send your entry as an image or in list format, to ccpuzzles@talktalk.net before the 8th September 2015.The first correct entry drawn from the hat will receive a book which has been donated by The Crossword Centre.